We love escape rooms. When we were given the opportunity to try out a new room to blog about, I was thrilled! We visited Moore Escape Rooms in Moore, Oklahoma. They are tucked into the corner of a strip mall. The corner includes 4 businesses with a lobby in the middle. Parking was easy and Google maps led us there with no problems. Of course they don't allow any photography in the room itself because that would ruin the fun for others. They have four different rooms, including one room for only two people that would be perfect for a date. We did The Art of the Heist room which just opened and allows for a maximum of six players. Without the artifacts there is no evidence for the trial, and of course, no exhibit. It's believed the Marionette Brothers hid the artifacts somewhere in the museum, presumably for easy retrieval. Follow the befuddling path of the crooks to locate all the missing items. Discretion is paramount, and as such you will only have an hour to discover their whereabouts. Can you recover the artifacts in time to save them and the museum? Or have the brothers been pulling the strings all along?" 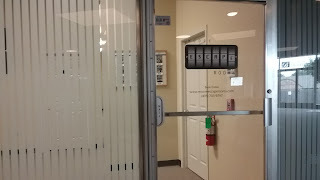 The room is wheelchair accessible and our kids didn't have any issues locating the clues. 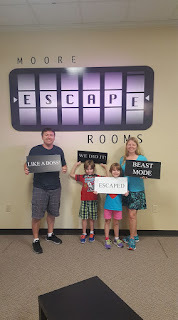 This room was more difficult than the last escape room we did at another company. The other one was designed for kids and it left us wanting more. This room was challenging and really had us worried we weren't going to make it. When we got stuck we could press the button and they would put a hint up on the screen that displayed the remaining time. We used all of the hints. There was nothing inappropriate for children, but most young kids would find it frustrating. I would recommend this particular room for ages 10 and up due to the difficulty of the puzzles. They had a couple of clues we never used so I'm not sure if we did it wrong or if those were just to throw us off track. So how did we do? With just over 1 minute remaining we escaped! We loved the variety of puzzles and that we did it as a family. It is a cooperative activity, but it feels competitive as you are racing around which means we all enjoyed it. At $25 per person or $150 to book a private room this is a great way to spend an hour. I highly suggest following them on social media and checking their web page for when they have sales also. The only reservation system is easy and the woman working there was nice. They had a problem with the air conditioning in the building before we arrived and contacted us through email to let us know. 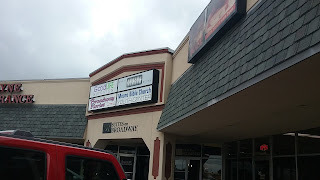 We didn't change our plans and they had it fixed and the building cooled before we arrived. Have you been to an escape room? What did you think? 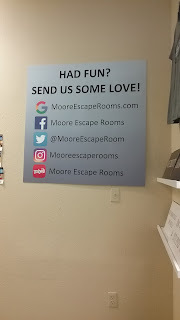 *We were given free tickets to the escape room in exchange for a review. All opinions are my own.